Rt. Hon. 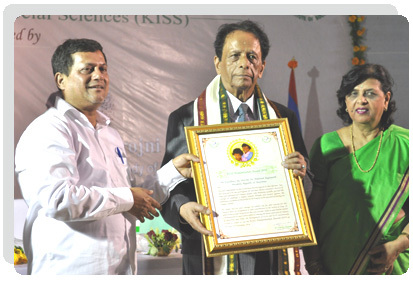 Sir Anerood Jugnauth, His Excellency The President of The Republic of Mauritius receiving the KISS Humanitarian Award 2010 from Dr. A. Samanta, Founder, KIIT & KISS. 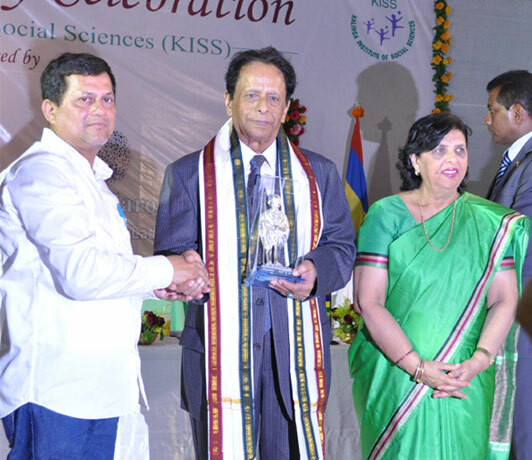 Lady Sarojni Jugnauth, Hon’ble First Lady of Mauritius also graced the occasion. His Excellency the Rt. Hon. 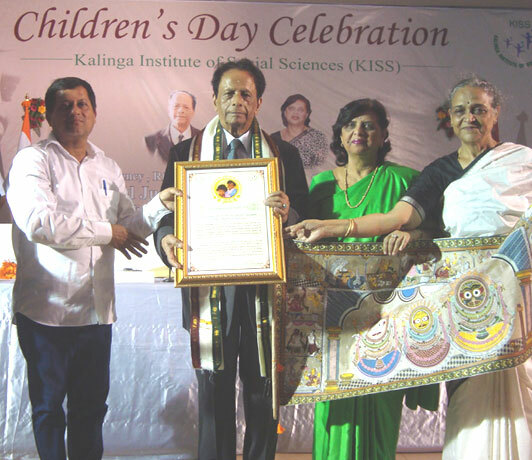 Sir Anerood Jugnauth, President of Republic of Mauritius & Lady Sarojni Jugnauth, Hon’ble First Lady of Mauritius being felicitated by Dr. A. Samanta, Founder, KIIT & KISS at the Campus Felicitation & Award giving ceremony held in KIIT campus on 14th November 2010.